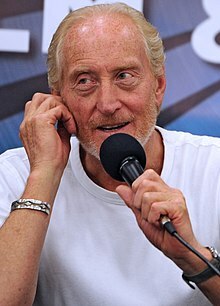 Walter Charles Dance (10 October 1946–) is an English actor, screenwriter, and film director. I've never been one for late nights, which is why I have always preferred making films to theatre. A play takes over your life: you start to feel sick at lunchtime and by mid-afternoon you're wishing for a bomb scare so the whole thing will be called off. Of course, if the evening goes well and you get the applause then it's wonderful. We're a strange bunch, we actors. This page was last edited on 16 February 2018, at 15:43.